Home / 2011 / January / 18 / The State of Poison Centers: Is it the End or the Beginning? Have you ever wondered about the vital role poison centers play in enhancing health care in America? This week’s blog post is a contribution from the President of the American Association of Poison Control Centers, Richard Dart MD, PhD, FACEP, FACMT. In his most recent President’s Message, Dr. Dart focused on the value of poison centers. We invite our readers to get a firsthand look into the state of poison centers in this country. This article will surely put the importance of poison centers into perspective. Enjoy and as always we look forward to your comments. At the end of 2010, the state of New York, citing budgetary issues, closed three of its five poison centers, leaving the Upstate New York Poison Center and the New York City Poison Control Center behind to offer poison center coverage for the entire state. Their decision to close three centers was an alarming development for the remaining 57 U.S. poison centers. It also left poison centers administrators wondering: Is this a step toward the end of poison centers or is it the beginning? It is critical to note that New York did not decide to reduce poison center coverage of their state. The entire state will be covered by the remaining centers. But that guarantee is not offered in the case of other endangered centers. We must understand that all poison centers face similar challenges. No one is exempt: Colorado, the state where I work as managing director of the Rocky Mountain Poison and Drug Information Center, proposed complete termination of poison center funding in 2009. We survived, but like all other centers, we still wonder: When will the next threat emerge? I believe that lawmakers choose to eliminate poison centers because of perceptions about value. They believe cutting funding for poison centers saves their state money and reduces or eliminates a service that is unnecessary or superfluous. Reality – and study after study – tells us differently. In fact, poison centers are among the best values available in health care. A few statistics: Every dollar spent on a poison center saves at least $7 in health care costs, and one study estimates that in 2007, every dollar of state funding the Banner Poison Center in Arizona received saved $36 in unnecessary health care costs. More than three-fourths of all poison exposure cases can be treated at home without the patient requiring a face to face health care visit. The cost savings are obvious: In 2005, the average cost of an emergency department visit was $745 while the average cost per call to a poison center was about $30. We know that we offer great value to the health care system. 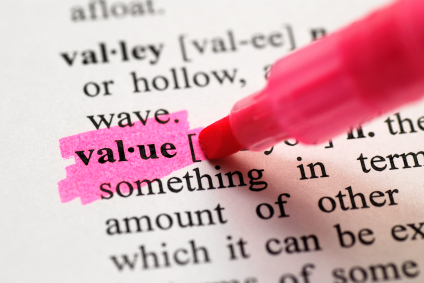 So the fundamental question is this: How do we help decision makers appreciate that value? 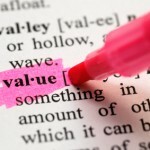 The perception of value is a tricky proposition. Most organizations – whether they are government agencies or private companies – find value, and therefore pay for, organizations that help them fulfill their mission. If agencies are responsible for food safety, they may want a call center to take food poisoning calls – they can do it themselves, but prefer to use an established professional service like a poison center. If they need a call center for mass casualty response, a poison center can help. If they need surveillance of specific products, certain regions, such as the Gulf Coast, or specific outbreaks like shellfish poisoning, a poison center can be of great value. In fact, poison centers have received funding for each of the above services from state and federal governments in recent years. In recent years, AAPCC, the association representing U.S. poison centers, has made great progress in informing the world about the value of poison centers. Changing entrenched perception is a long, hard, slog. But the effort is necessary. A sign in my dentist’s office says “You don’t have to floss all your teeth – just the ones you want to keep.” We don’t have to change perception – unless we want to thrive. This effort requires trips to Washington D.C. and Atlanta, the home base of the U.S. Centers for Disease Control and Prevention, to tell government agencies of how we can help them reach their objectives. It requires interaction with the pharmaceutical and chemical industries to show them how our data can help inform them about the safety of their products. It involves public education to increase awareness of poison centers. There is no magic bullet that will instantly propel us to the recognition we need to succeed. The good news is that that awareness and understanding of our members’ call center capabilities and database have increased dramatically over the past decade. New federal agencies are approaching us about data. Our legislative counsel has been very effective in spreading the word about our data and raising awareness about our services. Pharmaceutical and chemical companies are more likely to use poison center data to better understand their product’s impact on public health. AAPCC is invited to the table more frequently in conversations among government officials. In the months to come, we intend to expand the base we have developed with CDC, HRSA, FDA and other organizations that value our members and our data. We will also crystallize the previous efforts to create new opportunities. As I write this, for example, we have just completed a promising meeting with the Department of Homeland Security. We have many ‘irons in the fire,’ including new efforts with CDC, several legislative initiatives and new developments at the American Poison Center Foundation. There is no doubt in my mind that despite the challenges we face, this is also a time of great opportunity. Our members’ call centers and data can help both governmental and non-governmental organizations fulfill their needs. It is not easy work, but it is rewarding work and it is necessary work to assure a successful future. We cannot just focus on survival. Instead, we must offer a new vision of poison centers as important partners in assuring the health of all Americans. Did You Know…Poison Centers Are a Vital Part of Disaster Response?